LAS VEGAS, Nev. — WABCO Holdings, Inc. (NYSE: WBC), the leading global supplier of braking control systems and other advanced technologies that improve the safety, efficiency and connectivity of commercial vehicles, today unveiled a comprehensive brand, product and technical service platform for North American aftermarket distributors, independent service garages and fleets. The new aftermarket offering, which was launched in conjunction with Heavy Duty Aftermarket Week (HDAW) 2019, is designed to address the needs of customers throughout the vehicle ownership life-cycle. The WABCO aftermarket brand and product portfolio encompasses WABCO original products, the same parts selected by original equipment manufacturers; WABCO Reman Solutions, featuring a full range of OEM parts carefully remanufactured and upgraded to the latest performance specifications; MICO hydraulic components, controls and brake locks for medium and light duty vehicles; Sheppard commercial steering components; and ProVia quality aftermarket replacement parts for vehicles that are later in their service life-cycle. These products are available from leading aftermarket distributors throughout the U.S., Canada and Mexico. Official launch of the WABCO aftermarket platform is the latest of several significant company achievements in the North American market. 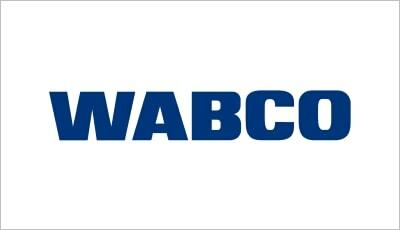 In the past three years WABCO has acquired four leading commercial vehicle industry suppliers: MICO, Inc., Laydon Composites, Ltd., R.H. Sheppard Co., Inc., and the remaining share of the former Meritor WABCO Vehicle Control Systems joint venture. Former Meritor WABCO aftermarket parts—including air compressors, air dryers, braking systems, collision safety systems, electronically controlled air suspensions, and stability control systems—are distributed exclusively by Meritor in the U.S. and Canada, and on a nonexclusive basis in Mexico. WABCO (NYSE: WBC) is the leading global supplier of braking control systems and other advanced technologies that improve the safety, efficiency and connectivity of commercial vehicles. Originating from the Westinghouse Air Brake Company founded nearly 150 years ago, WABCO is powerfully “Mobilizing Vehicle Intelligence” to support the increasingly autonomous, connected and electric future of the commercial vehicle industry. WABCO continues to pioneer innovations to address key technology milestones in autonomous mobility and apply its extensive expertise to integrate the complex control and fail-safe systems that are required to efficiently and safely govern vehicle dynamics at every stage of a vehicle’s journey—on the highway, in the city and at the depot.